Best Back to the Future quotes, ranked by fans. This list of great movie quotes from Back to the Future collects all of the most famous lines from the film in one place, allowing you to pick the top quotes and move them up the list. Quotations from movies are repeated all the time in other movies, on television, in speeches and in day-to-day life, so having a good knowledge of good movie quotes (and having resources useful to search movie quotes) have become essential. This list includes all the best Back to the Future lines and moments, just as they appeared in the actual movie script. Whether they are funny quotes, sad quotes, quotes about love or death, all the most famous Back to the Future quotes are here. Back to the Future (1985) follows American teenager Marty McFly (Michael J. Fox) as he travels back in time in a modified DeLorean made by his pal, mad scientist pal Doc Brown (Christopher Lloyd). Stuck in 1955, Marty must ensure that his parents meet and fall in love, or else he might never be born! Directed by Robert Zemeckis (Forrest Gump), the film was critically acclaimed and #1 at the box office for 11 weeks. Back to the Future remains a classic that is consistently named on lists of greatest films. Lorraine Baines: Wait a minute, don't I know you from somewhere? 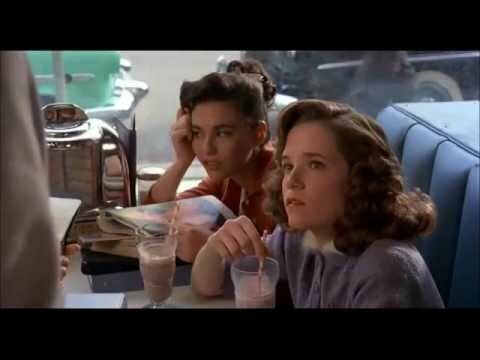 George McFly: Yes. Yes. I'm George, George McFly. I'm your density. I mean... your destiny. Marty McFly: What if I send in the tape and they don't like it? I mean, what if they say I'm no good? What if they say "Get outta here, kid. You got no future"? I mean, I just don't think I can take that kind of rejection. Jesus, I'm starting to sound like my old man!